Autoclaves are pressure vessels operating at high temperature. They are often used to cure components, such as composites, and are used in manufacturing in the aerospace industry. Our autoclaves are designed to operate at temperatures of up to 400oC, where the normal maximum is 250, and pressures of up to 7 Bar, and reach these in as little as 95 minutes. Each AeroThermal autoclave is unique and is built bespoke to our customers’ requirements. We provide the full system and guarantee temperature homogeneity throughout the entire vessel, thanks to our heating and cooling systems. AeroThermal designs, manufactures and installs a range of ovens for specialist applications across a range of industries, including aerospace and F1. All of the ovens are designed and developed for the specific application of our customers. 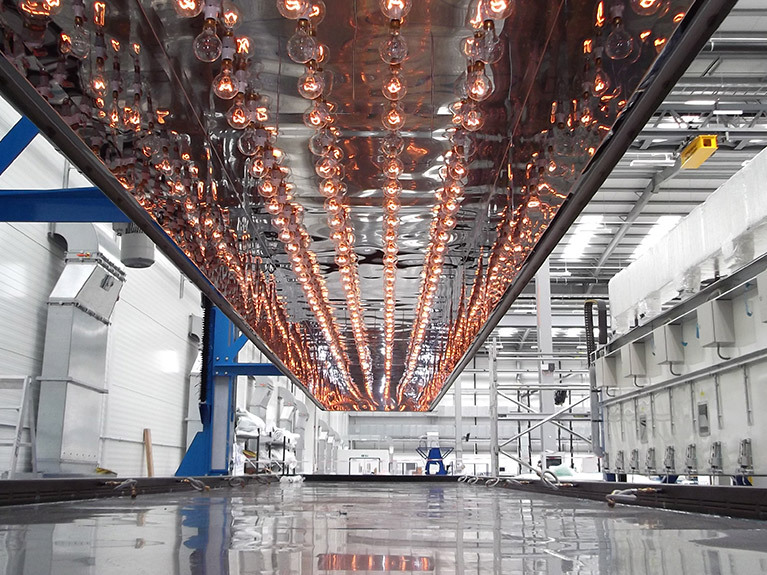 A good example of this was an oven we produced for a major aerospace company. Our ovens give outstanding performance and can meet aerospace material specification pyrometry standard AMS2570E with exceptional temperature uniformity and increased energy efficiency. Incorporating Hampshire Laminating Machinery (HLM), AeroThermal’s HDFs are used widely in the aerospace industry. This hot drape forming technology allows laminates of over 20mm thickness to be formed to precise dimensions at up to 18m in length at temperatures up to 100oC. The forming process takes a pre-impregnated (with resin), flat laminate of tape-laid carbon fibre and applies heat accurately controlled in a vacuum. It gently bends the laminate over a heated tool to take the preformed shape ready for the next stage of curing in an autoclave. Modern HDFs enable the manipulation of components in more complex geometries, with a much greater degree of control. AeroThermal has decades of experience in providing extensive precision machining and fabrication services. This includes expert project management and turn-key production of components and full products. 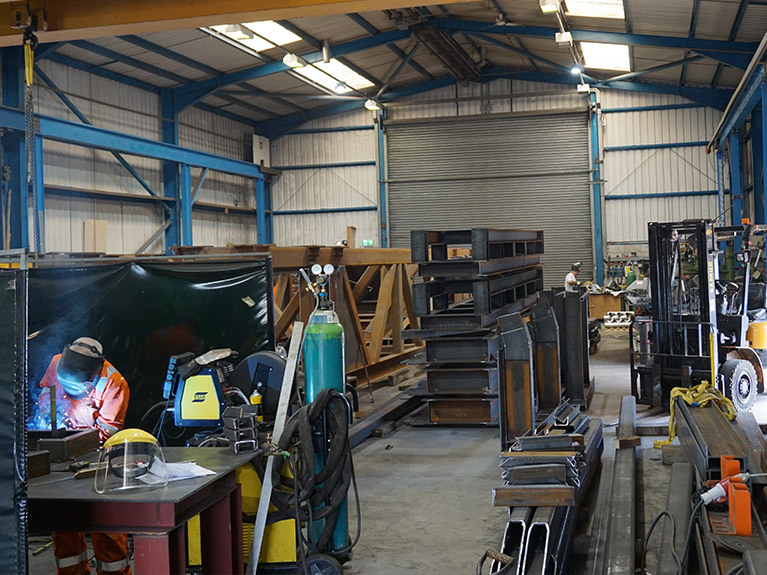 We have a dedicated workshop for carbon and stainless steel, which includes a high capacity overhead crane. This is available to all industries, especially those seeking higher tolerance and precision facilities. It can also work in exotic metals and alloys. This is due to an extensive range of state-of-the art equipment. We are able to work within long term agreements or on one-off components. 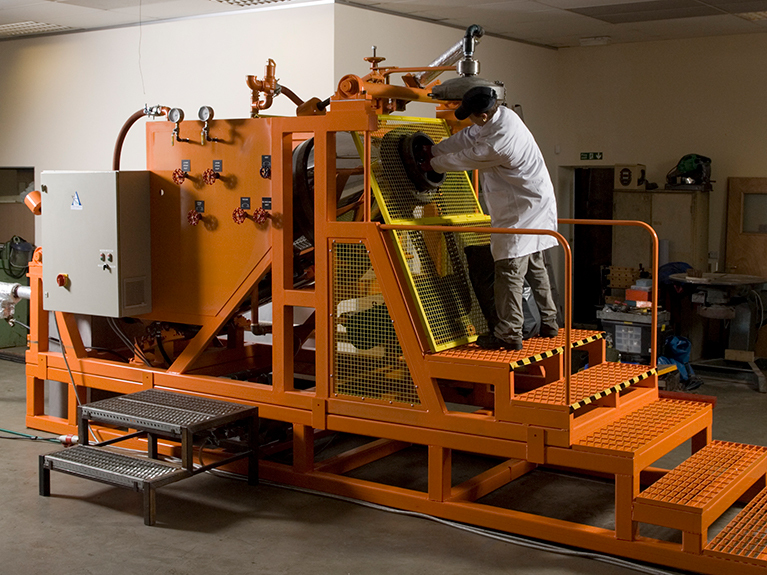 AeroThermal has a comprehensive testing facility at its laboratory in Poole, Dorset. Our team of specialists, who use a range of high tech equipment, is led by Dr Nigel Bailey MA PhD and Dr Zhenjiang BSc Hons PhD. 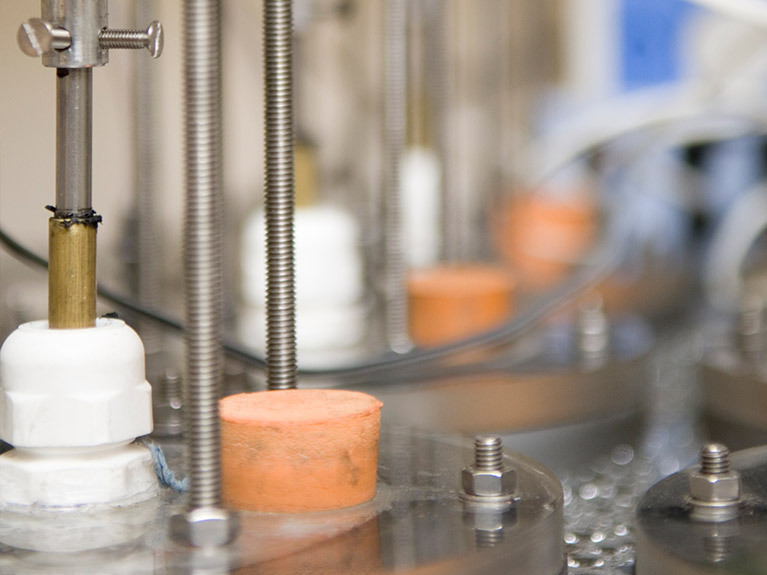 Our laboratory specialises in the examination of waste properties before and after autoclave treatment, and in evaluating the anaerobic biodegradation potential of different waste materials. We have 36 laboratory-scale constantly stirred digesters available and we provide services such as Biologic Methane Potential (BMP) testing and semi‐continuous anaerobic digestion testing of any kind of organic waste or wastewater. AeroThermal has worked on pre-processing waste materials to generate a substrate that can be distilled into bio-ethanol or bio-butanol. We have run several hundred scientific trials on different waste streams, many in conjunction with Southampton University. Our team has now written over 100 reports and has complete waste trials for a number of major waste companies including, Biffa, Shanks, Viridor, and New Earth Solutions amongst others.